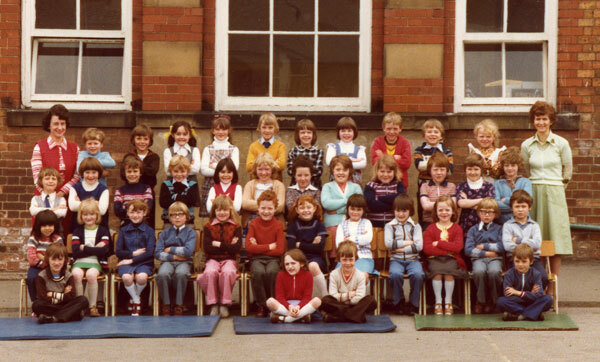 If there ever was a golden age, it was here, 1977, Sherburn Village Infants. That’s me, seated front row in the middle in an orange polo neck. That’s Sean, front row far right on the mat. He was my best friend from that time when you actually named your best friend as number one, as if friendship was the pop charts with various friends jostling for that coveted top position. We’d met when we were both five at the very first day of school. We’d had some great adventures. We’d discovered Star Wars and Superman and The Incredible Hulk together. We’d discovered the secrets of Sherburn Hill together, explored the country lane, the slag heaps and the rubbish dumps together. We’d learnt to read, write, draw and collect Action Jacks together. We’d created magic potions, travelled back in time, been bounty hunters, saved the world from a Dalek invasion (many times) together. We’d learnt how to burn our shoelaces with a magnifying glass, sing the Beatles songs from Help!, programme our Commodore VIC20 computers (and reach level ten in Arcadia.) We’d made recordings on a tape recorder that were so funny we laughed until tears streamed from our eyes and we lay on the floor holding our aching sides. We’d always sit together in class until Mr Hall banned it and said we had to sit at opposite sides of the room. We were also told that boys weren’t allowed to put their arms around each other in the playground (but girls were). The dinner ladies had reported it to the teachers who’d sent letters home and we were told that the only physical contact boys could make with each other was to punch each other, otherwise you were a ‘puff’, whatever that was. (Turns out, neither of us were). How is it that you can get really close, so tight in a friendship and then… something happens? This is what happened. It was a hot afternoon, early summer. I got my bike out of the hut in my back garden and wheeled it down the grass and out of the gate. I rode up to the end of the cul-de-sac and up the curb to ride past Sean’s house and looked in the window to see if there was any sign of life. There wasn’t so I rode up the hill to the tarmaced area called ‘Play Area One’. Everything on the estate had a name. Behind my house was a hidden pavement that was secret until the houses behind were lived in. We called it ‘the secret passage’ ever since. On the play area was Sean and Sid with their bikes. Sid was a year older than Sean and I who were 12. Sean used to live next door to him when he lived further up the estate, before he moved opposite me. Sean and I had Commodore VIC20s and Sid had a Sinclair ZX Spectrum. We had a software writing corporation called MISARM-SOFT. The initials were the first letters of our names; Michael, Instone, Sean, Adrian, Robert, Murphy. The A and S also stood for Andrew (Sid) Smith. Sean and Sid had collected a few bricks and a wide plank. They’d made a ramp and were jumping off it with their bikes. I watched for a while then had a few goes too, it was too hot to just stand around. Someone decided to change the arrangement of the bricks to make a higher ramp. I picked up a brick to help with an idea of how I could make it higher but more stable. I was about to put it in place when I dropped it. It broke. I tried to conceal the broken brick by hiding it under another and I look around to see if there was another brick to replace it. There wasn’t. Sean noticed. “What have you done that for man?” he said. “You’d better get another brick.” snapped Sid. “All right, all right, I’ll get one.” I wondered where I could get another brick from. “But my dad needs them for a wall” I said. “Go home and get one” said Sid. I got on my bike to ride off when Sean said, “Hey, he can get away. We’ll go with him!”. Sid grabbed my back wheel. “I said I’ll get one” I said. Sid dropped my back wheel. I raced off, not looking back. When I got home I thought about it all and came to the conclusion they didn’t deserve a new brick. I sat down and watched The Dukes of Hazard with my brother. I looked out of the window and saw faces peering through the fence at the back from the secret passage. A year earlier, during the last few weeks of junior school I had been very ill with some sort of fever. Before the illness it had been just an ordinary June, just like all those that had gone before, stretching back into our pre-history. There had been no sense of endings then. If there had been a feeling of occasion in those final weeks of school, I’d had missed out on it. Mr Jackson the headmaster retired that summer and there’d been event to commemorate. I’d missed that too. I’d never said goodbye to any of my classmates who I’d grown up with since that September day six years ago when we were all five. And except for the few that lived on my estate I’d never saw any of them ever again. Barry said that Mr Jackson had died not long after. So after that summer had passed we’d all moved up to a bigger school. But I’d gone to a different comprehensive school to my infants and junior compatriots. They all went, I assume, to Gilesgate, the rough, tough inner city ‘Grange Hill’ type school. I went to Belmont, which seemed more refined, almost like grammar school. When the new term began at our separate schools I’d slowly started to lose that regular contact with Sean, even though he lived opposite. Presumably he’d made new acquaintances, new alliances, new friends and a whole year of new school had passed. That first year had ended and it was the start of another summer holiday and I was feeling I needed to keep clear of Sean because of the brick incident that week. Barry lived at the other side of the village. I told him about Sean and the brick. He and Sean had never got on. At school, when I’d played with Barry, Sean would always resent it. Barry mentioned that he’d seen Sean riding around the village with a small gang. I’d been reading The Lord of the Rings and jokingly referred to Sean as ‘Sauron’ and his gang as ‘the Nazgul’, ‘the black riders’. Barry and I were round at Graham Stead’s house, drawing maps of fictional islands and continents we’d made up on rolls of anaglypta wallpaper. We saw Sean’s gang coming round the corner on their bikes. Barry and I leapt on our bikes and rode off. Graham went back inside his house. There’s an adrenaline that comes from being chased. Especially if you know you’ll always get away. We seemed to have shaken them off and got to Play Area One and found my brother there. He joined our gang and so did his friend Neil. So there are now four of us. I was in the middle of explaining the situation to my troops when some retard called Nigel came up. “I’m going to tell them where you are.” he said. “You thick head.” I said “You think we’re going to stay here?” Nigel shut up and started throwing a tennis ball off someone’s house. It was getting late so we all headed home. I was pleased that I had at least got four members recruited to my own entourage. I looked out of my brother’s window and saw something disturbing in the street beyond the back garden, between the garages. 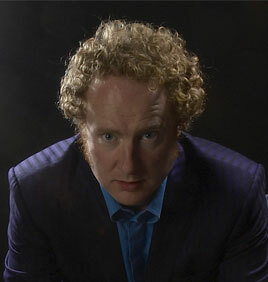 In the dim light, Barry was stood near Sean. Then Neil went up to him. I opened the window so I could hear. Neil had said, “Can I join your gang?”. The next day I rode around the village on my own. I turned into a narrow path only to see it blocked by Sean and his black riders. I knew I couldn’t get away this time. They stopped me and Talley grabbed my front wheel. “Why don’t you give Sean a brick?” he said. Before I could answer, Renny came up from behind and crashed into my back wheel. “Sorry, my brakes don’t work.” Renny said grinning. I was frustrated, worried and wanted to get away. I hit at Talley, trying to get him to release his grip on my bike. “Right, you asked for it.” he said and jumped on me and I fell off my bike. I lashed out at him again which gave me the chance to jump back on my bike and get away. My bike made a grinding noise, the mudguard on the back was buckled and scraped against the tyre. A day or two later, Barry and I had been up the moors. On the way back we headed to ‘the Bash’, a huge and thrillingly dangerous slag heap, a remnant of the village’s coal mining past. After collecting a few fossils, we walked back to the village and there, just in front of the entrance to the secret passage behind my house was Sean and his riders. They cut us off. They used their bikes to block up the entrance to the passage and crowded around us. But Barry had slithered out towards the back and when I looked around he was standing well behind them all. I looked around for a means of escape but there wasn’t any. To the left of me was the barricaded passage entrance. Behind me to the right and left were rows of garages for the flats and behind me was a fence. Stood around were Sean, Sid, Cheeky, Daz and Renny. This lot had all been my mates, for years, just less than a year ago. Sid had with him his tiny brother Steven with dirt around his face. He must have been just two years old. “Why did you call me Spud?” said Sean from the back. “Yes you did” said Barry. “No I didn’t” I repeated. “Yes, you said you’d used names out of the book you were reading” said Barry. “I don’t recall ‘Spud’ being in Lord of the Rings” I replied. Daz picked up little Steven. “Steven, kick him, go on, kick him!” he said. The little toddler did just that. Perhaps they wanted me to go for the poor kid but I just moved out of the way. “Ha! Look, he’s scared!” said Daz. I was getting anxious. I wanted to go in for my tea. Then everything seemed like slow motion. I ran and leaped over the barricade of bikes, giving them a kick behind with my right foot, knocking them all over. Then Renny rushed at me and jumped on my back. He was a small potato-like shirtless lump. I threw him off and heard him go splat on the ground. Cheeky came next. He ran at me and I grabbed the scruff of his neck and picked him up. Oddly, he laughed out in surprise. I threw him to the floor. Then Daz tried it and I knocked him to the floor too. Then it happened. The others had retreated and Sean moved towards me with fire in his eyes. I lashed out. He hit me in the stomach. But with the next blow, our fists collided, like some sort of stalemate. Our knuckles cracked. Everyone else just looked on. Further down the passage our gate opened and my brother came out. He shouted back through the gate to the house and my Mum came out and I backed off. Sean’s face was red and I was shaking. Later I told my Mum the whole story and after tea she took a brick over to Sean’s house. We didn’t see each other again after that, and at the end of the year my family moved far, far away from the village where we all grew up. Three years later my Dad had some business in the North East and because it was in the holidays I went up with him. It was early evening when he dropped me off in the village and I walked round to Sean’s house as the light faded. We were now both fifteen. His mum answered the door and I went in and up to his room. Sean was there with two boys I didn’t know, playing computer games on a Sinclair Spectrum. I wondered what had happened to Sean’s VIC20 and we talked about nothing as if nothing had ever happened ever. It was as if he could only just remember who I was. The only thing he mentioned related to the past was that there was another boy now living in my old house. After a while I said, ‘see you later’ and left them to it and walked out into the night to the spot where my Dad was due to pick me up. Even that is now 26 years ago. This isn’t even a story to be proud of. But somehow I knew it was important as I wrote it down at the time. I’ve developed longer and deeper friendships since. But there something different about those early years, the foundation for who we are and what we’ll become. The threads of our life’s tapestry is laid down in those times, and although so short, sometimes they do feel like the most important threads of all. Why do we remember what we remember? Where does our ‘right and wrong’ come from?